Is my building up to date in regards to accessibility and code compliance? If you have questions or concerns FEA can help. FEA will customize a plan that will best suit the needs of your facility based on location, budget, and level of need. 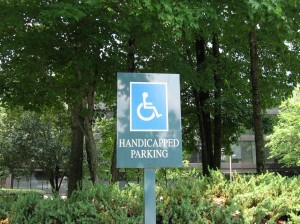 Using the 1992 Americans with Disabilities Act and its Accessibility Guidelines (ADA-AG) as a guide, we will survey your property and provide a barrier removal plan. The primary purpose of the survey is to identify accessibility barriers and provide a recommended plan of action to remove these barriers. The survey will focus on accessible entrances, access to goods and services, usability of restrooms, and other barriers. Our recommended barrier removal projects will include risk-based priorities, level of difficulty to accomplish, and opinion of cost. This will give you the option to budge for projects in the future. Each client is unique, so we provide sound recommendations based on your building, your needs, and your budget. FEA can also evaluate whether existing fall protection system components provide adequate worker access to the facility exterior, ensure compliance with applicable standards, and perform load-testing of the existing system, as well as provide documented certification of the existing anchorages for worker use.